Eat chocolate gelato GUILT FREE. All you need is 4 frozen (should be very ripe and broken into pieces before freezing) and cocoa powder. Put bananas into a powerful blender ( I use Ninja) and add just 1/4 cup of milk (any milk or water) and start blending. It will first break into small pieces. At this point add cocoa powder and start blending again. You will know its done when it turns into a gelato like consistency. Put into a bowl an enjoy! 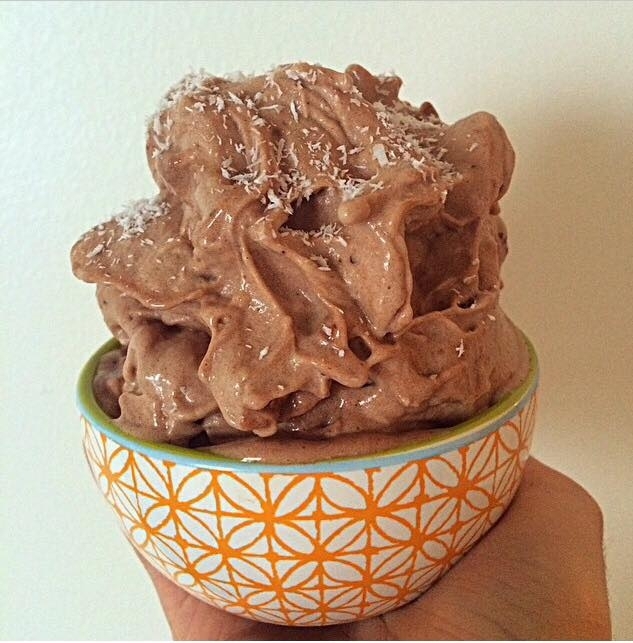 Share this recipe on your fb if you love the idea of guilt free ice-cream. This serves about 2-3 ppl.